As I’ve shared in earlier blogs, I love taking recipes from food blogs and websites and make them healthier for us to enjoy! 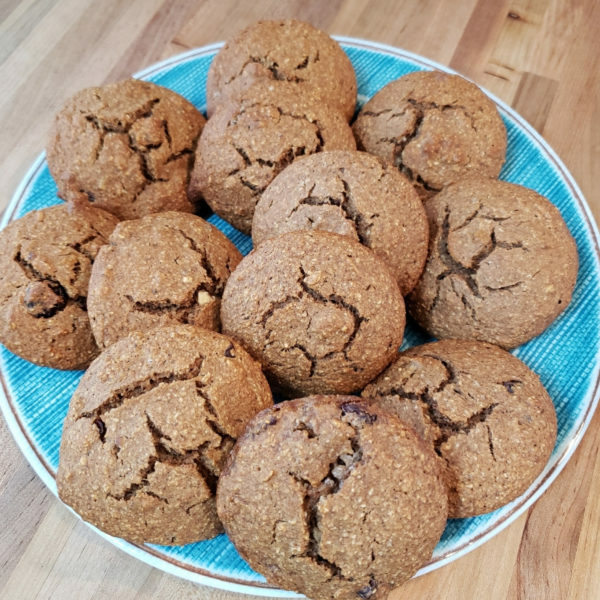 When I am baking a breads, muffins, or cookies, I want to make sure that there is a balance of protein, carbohydrates and fats to help regulate our blood sugars. For the most part baked goods lack any protein and this recipe followed suit. It also didn’t have much fat so I added in the egg yolk for a good healthy fat. When you finish eating something it should leave you feeling good – both mentally and physically and these were delicious! The original recipe that I adapted was from Blue Zones website (see below). It was originally for Banana Oatmeal Cookies. My preference was to make a Sunday morning muffins so I used our favorite muffin “top” pan to bake them. Our preference is also to use all organic ingredients. Preheat oven to 350˚. 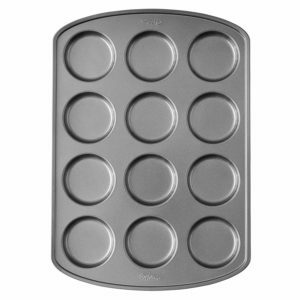 Line a baking sheet with parchment or spray with non-stick spray. Use a high power blender to process oats to the consistency of flour. Pour into mixing bowl and add protein powder, baking soda, spices, and the additional 1/2 cup of whole oats. Blend bananas until completely smooth. Add to oatmeal mixture and stir in egg, vanilla extract, and almond milk until blended. Add in nuts and berries and mix until combined. Drop 2 tablespoon balls of dough onto baking sheet, spacing well. Dip the scoop or spoon into water to keep the dough from sticking, or you can use your finger like I do! Bake for approximately 20 minutes and check firmness, may need to bake around 10 minutes more depending on your oven. Cool muffins on wire rack and store in an airtight container. We enjoy them fresh out of the oven when they are baked and then I store them in the freezer. We love these on Sunday mornings with a big cup of coffee and a great book! If you try these please let us know by leaving a comment on this blog! 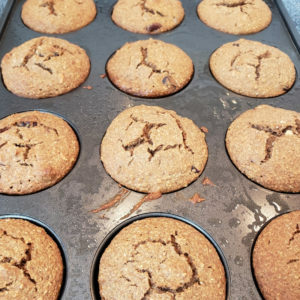 Baking Tip: I prefer to use Wilton Perfect Results Premium Non-Stick Bakeware Muffin Top Baking Pan, not a big fan of the bottom part of the muffin and helps to keep portion size a bit smaller – you can find it on our Amazon Storefront! Disclosure: Please note that some of the links above is an affiliate links, and at no additional cost to you, we will earn a commission if you decide to make a purchase after clicking through the link. Please understand we recommend them because they are helpful and useful, not because of the small commissions we make if you decide to buy something through our links. Please do not spend any money on these products unless you feel you need them or that they will help you achieve your goals.